Ferran Adria’s creativity and innovations usually arise from asking questions like why do we have coffee followed by an egg at breakfast, while at lunch we eat the egg first and then drink the coffee? 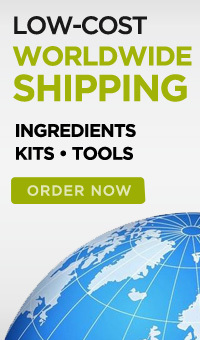 By answering these questions or at least trying, he may discover unusual flavors and aromas that pair well with each other, new ingredients and chemicals and lab equipment that could aid him in the kitchen. He also learns from the food industry. 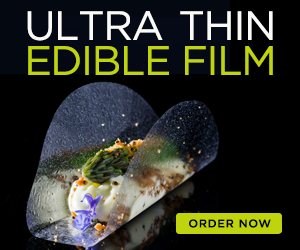 In many cases, the techniques and chemicals he uses have been applied in the food industry for years but his creativity and imagination allow Ferran Adria to apply them in a new magical way that will surprise diners. Many of the molecular gastronomy techniques used by restaurants all over the world have been created by Ferran Adria. Using chemicals and additives, Ferran Adria changes the basic characteristics of food to change textures and intensify flavors. He is the creator of foams made with a siphon, airs created by emulsifying the foam on food that has liquefied, liquid spheres using the spherification method based on the reaction of an alginate with calcium and many others which are explained on this molecular gastronomy website. Ferran Adria, whose father was a Barcelona house painter, dropped out of high school and started his career as a dishwasher in a resort hotel. At that time, El Bulli was a remote beachside restaurant on Costa Brava owned by Germans who named it after their bulldog. When Ferran Adria showed up at El Bulli for a summer job in 1983, the restaurant already had two Michelin stars. 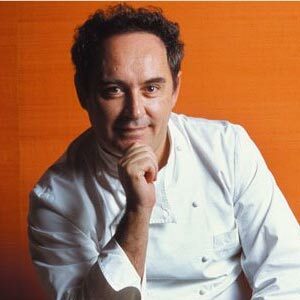 Ferran Adria rose through the ranks and became el Bulli’s chef at age 25 in 1987. That same year he went to a cooking demonstration in Cannes by Chef Jacques Maximin who gave a definition of creativity that inspired Ferran Adria for the rest of his molecular gastronomy career: not copying. After this, the first El Bulli research lab was born. Ferran Adria purchased an 18th century townhouse in Barcelona and turned it into a workshop where he and a team of El Bulli cooks could research new techniques during the 6 months when El Bulli was closed. Ferran Adria’s restaurant received its third Michelin star in 1996. The lengthy, multicourse meals at el Bulli are carefully choreographed events designed to play with the diner’s mind and emotions. Ferran Adria once served a froth of wood-smoked water in a glass with a few drops of olive oil and strips of toast. His idea was to make diners recall eating grilled bread with olive oil. A cocktail from Ferran Adria could be a “deconstructed” martini consisting of a spherical olive (olive juice sphere with very delicate membrane that bursts in your mouth), accompanied by gin and a vermouth spritzed on your tongue.